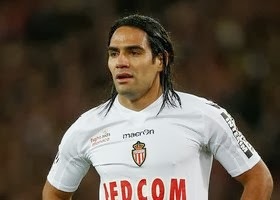 AS Monaco star Radamel Falcao quitting France for England in the summer. Former Newcastle United and Tottenham star Ginola was stunned when Falcao left Atletico Madrid to join big-spending Monaco. Chelsea and Manchester United have both shown an interest in landing him while an Arsenal move could be funded by a new sponsorship deal with Puma. Ginola told the Daily Star: “Everybody wants to come and play in England. “When he had the choice and decided to go to Monaco, I was surprised in the first place. “I expected him to go to one of the clubs in England but he’s still young and he has plenty of options in his career. “His future could lie in Spain, Monaco or England. It’s too early to decide his future now but, why not [move]? Everyone wants to play in England.